Traffic and conversion are core to any digital marketer’s job — the two main goals of the job are to drive people to a site and then make sure they take action on-page while they are there. Only a few years ago, both of these tasks were incredibly difficult. Facebook ads weren’t around to push targeted traffic to a page. And once traffic reached a site, it was difficult to personalize for the experience and convert visitors without coding up a custom page. Luckily, in 2019, marketers have it a bit easier. There are tons of avenues to drive traffic from and there are plenty of landing page builders to help you quickly set up a landing page. A landing page remains one of the most effective ways to quickly capture a visitor’s information and put them on the path to purchasing your product or service. With a well-written headline, a captivating offer, and a CTA, you’re on your path to success. Maybe you’re like the team at Harry’s and have an idea for a product you want to launch — but you don’t want to spend the time or money to build up a full site. Or let’s say you have a targeted offer that you only want some of your visitors to see. What do you do? Turn to a landing page builder, of course! Today, there are dozens of tools at your disposal to quickly launch a well-designed and high-converting landing page. We put together a list of 12 of the best landing page builders to try in 2019. Each software has its unique features — and we’ll cover the pros, cons, and pricing of each option. HubSpot is about as reputable of a tool as you can get in the B2B SaaS world. And their landing Page creator is available alongside a host of other tools (forms, email, CTAs, live chat, and blogging) as part of their Marketing Hub package. It’s an all-in-one solution that can help you launch well-designed pages in no-time. One unique advantage of HubSpot’s landing page builder is that you’re able to tie it into their CRM and take full advantage of Hubspot’s full suite of tools (including personalization). If you’re already using HubSpot or if you’ve thought about turning to their service as a CRM or email marketing solution, their landing page builder could be the icing on the cake. Instapage is super easy to use — and as the name suggests — you can launch a landing page almost instantly. It’s useful for businesses at all stages from solopreneurs to agencies to enterprise. From the get-go, it’s clear that design is a key part of Instapage’s success (similar to how Squarespace has dominated the website builder world with clean design tenants at the core of their business). On their platform, Instapage provides over 200 customizable templates that can meet a variety of goals — from Lead Generation to Webinar Registrations and App Downloads. Each template is easily customizable, and with their Instablock feature, it’s easy to visually edit a landing page without typing a single line of code. You just drag a block to the desired location and adjust the copy or imagery to your heart’s desire. Another key benefit of Instapage? They offer a variety of solutions designed for Google ads, Facebook ads, and Retargeting ads. You can quickly tie the landing pages to these points and create custom landing pages to match the ad campaigns you’re running. Leadpages has a lot of similarities to Instapage — drag & drop functionality and a keen emphasis on well-designed templates. But a big difference of their landing page builder is that instead of building for a high-ticket Enterprise customer, they choose to focus on creating solutions for Agencies as their high-tier accounts. In terms of price, Leadpages is one of the cheapest solutions on this list. And if you’re looking to get a page up for quickly and cheaply — this could be a good option for your business. But if you want the functionality that most growth marketers demand (A/B testing, integrations), be forewarned, Leadpages will make you pay for it. ClickFunnels meets a market need that many of the other land page software options on the list simply ignore. They provide an out-of-the-box solution that anyone can set up in a few minutes. Entrepreneurs in the coaching, information, and lead generation space have been running their funnels with ClickFunnels for years — and they have a playbook for that use case down a T.
If you’re running a later stage business, there are a variety of other landing page builders on this list that might have more of the functionality you desire. But if you’re in the business of selling courses or other online content and want to minimize the work on your end, try out Clickfunnels. Unbounce is the solution for marketers that are laser-focused on conversion. 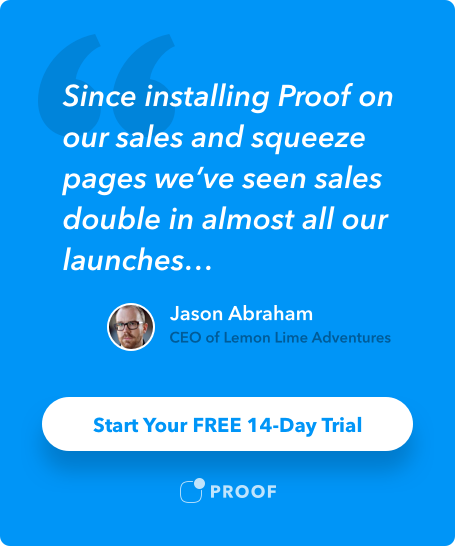 This software is all about making sure you “un-bounce” — by guaranteeing that you can quickly and effortlessly deploy landing pages that convert like crazy. With landing page software, on-page conversion is often an afterthought. But Unbounce makes some key decisions that are focused on quickly helping a user take an action on a page. That includes popups and sticky navbars to add extra opportunities for a visitor to submit an email. And their dynamic text replacement allows for SEM landing pages to be hyper-targeted for a visitor. Over 15,000 customers including brands such as Vimeo, New Balance, and the New York Times trust Unbounce as their landing page builder — and maybe you should too. Wishpond takes a unique approach to the landing page builder business model — rather than assuming you want to launch pages yourself, they offer two options: Do it yourself or Done for you. The latter plan provides a fully-outsourced model with a team of designers, copywriters, project managers, and marketers that are at your beck and call. With their landing page builder, Wishpond gives you the ability to launch a variety of landing pages quickly and with ease. Their landing pages are mobile-friendly, launch in minutes, and allow you to integrate custom form fields to collect key information from your visitors. 33% of the entire Internet runs on WordPress, so Elementor has built a pretty nice business just off of targeting this one market. Over 2 million people trust their landing page builder to launch pixel perfect pages without typing a single line of code. You might remember MailChimp as the folks who launched those crazy ads on Serial — Mail Kimp? And you probably know their industry-leading email software already. What you might not know is that they also offer a landing page builder as part of their suite of software. While it lacks some of the features of pure landing page software — the price sure is right. As your small business grows or if you want more customization, you’ll end up paying for those features. GetResponse is an all-in-one marketing solution (like Hubspot) — not specifically a landing page software like MailChimp and Wishpond. This type of software model has its ups and downs. On the positive side, you get multiple tools for the price of one. On the downside, you have to be realistic and know that landing page software won’t necessarily be the primary thing on their product roadmap. If you’re looking for an easy to launch solution that has other capabilities than landing pages or if you’re already using their services, GetResponse could be a good choice. Wix is an Israeli-based website building platform that has helped more than 125 million people launch a website — so they know a few things about building a page. Their landing page solutions are designed for limited use cases (Coming Soon, Under Construction, Capture Leads) compared to other software on this list that is designed for growth marketers running paid traffic. It’s also not immediately apparent that the landing page builder is a key product — in fact, their site makes it seem like a natural use case of their website software rather than a key feature. But with a basic package available, it’s worth a look! KickoffLabs is designed for marketers that want to go beyond simple landing pages and instead are looking to launch viral marketing contests. Their software allows you to set up a Campaign with a viral loop such as Leaderboards, Bonus Referrals, Coupons, Waitlists, and more! You can then run that viral Campaign as a Landing Page, Popup, Slide in Bar, or Custom HTML. LandingI is a website landing page builder that can help you quickly deploy a page. They claim to offer “unlimited landing pages, unlimited custom domains, unlimited visitors, unlimited leads, and unlimited users” on all accounts. Over 4000 companies including Paypal, Sony Music, and Callpage use LandingI’s software to power their landing pages. So, what’s the best landing page builder in 2019? It depends on your business! We’re a big fan of these 10 options — and at Proof, we’ve used most of these software tools at one point in our history. Today, we’re using both Hubspot and Instapage for our landing pages — but depending on your business, there may be a better landing page builder for your unique business case. Did we forget something on the list? Leave a comment below.